Lanes leading to traffic light junctions are either 2 lane or 3 lane. The same applies to roundabouts. Some new drivers are uncertain as to which lane they should follow. They are slightly confused. 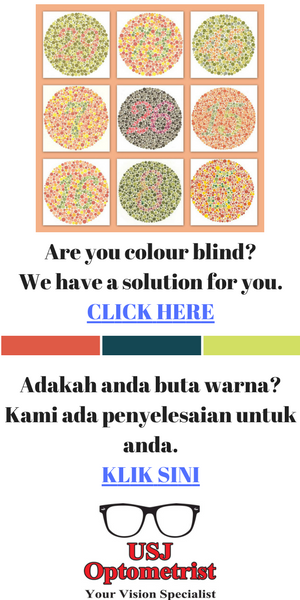 Thus they have written to this Driving School Malaysia blog requesting some explaination on this subject. First of all, why this anomaly among new drivers occur? Driving instructors nowadays do not seem to provide tuition to students regarding the mechanics of driving in the town. Lack of practice is therefore the main source of this weakness. Let’s first take the example of a 2 lane road leading to a traffic light. Going towards a traffic light, a driver should first of all know where he is going. Stay on the left lane if you are going to turn left. If you are going straight ahead, stay on the centre lane ideally. If you want to turn right, also take the road on the right. But some roads allow you to go straight, but not to turn right. In this case, you’ll have to Stop momentarily, wait for the traffic light (Arrow sign) to light up, before you can proceed to do the right turn. Staying on the left lane does not automatically mean you can turn left right away. At times, you’ll have to wait a while before the Arrow lights up, then you can turn left. Now lets proceed on to the 3 lane leading to the traffic light problem. Again, like the 2 lane example, “stay left” if you’re going or turning left. Stay in the centre lane should you intend to go straight ahead. You can turn right too if you want to, but then, this is dangerous driving. Your action might cause a minor accident. Actually, the right procedure should be to stay on the right lane. Then there is the right lane. The right lane is for you to turn right. Sometimes you have to stop a while, wait for the Green arrow to light up, before you proceed towards your destination. If there are no cars ahead of you, you can use this lane to go straight ahead also. One last advice, regarding the traffic light system. If you see a “green round” traffic light, it denotes proceed either straight ahead, turn left or turn right. Correct? What if you see a “green arrow” pointing straight ahead? There’s another “green arrow” waiting to light up for you to turn Right. Can you in such a situation, turn right without waiting for the green arrow to light up? Are you breaking the law? Think about this poser. Then maybe contact my blog. Or better still, ask you lawyer friends. The question of 2 lane and 3 lane leading to roundabout, will be discuss later in another article some other time. Hi Cikgu Yap…. First of all… nice web info centre here.. keep it up! IF there was a 3 junctions / 4 junctions road traffic light breakdown occurred, who shall give way and who shall get way 1st. ??? Specially a traffic light junction underneath of any highway flyover now days.. When traffic lights breakdown, especially at flyover, you’ll have to give way to traffic coming from the right. If all drivers follow the above advice, there should not be any problem at all.